I adore Indian food. I love the spices and the warmth. I love that Indian food is packed with things that are good for my body, and that it doesn’t taste like “health food.” Indian food is fantastic. 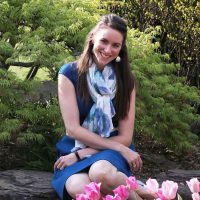 In the months since learning about Caitlin’s dairy intolerance, I’ve had to avoid eating a lot of my favorite things. Dairy is in almost everything! And since a lot of Indian food is cooked with ghee (clarified butter), I’ve been wary of ordering Indian food at a restaurant. 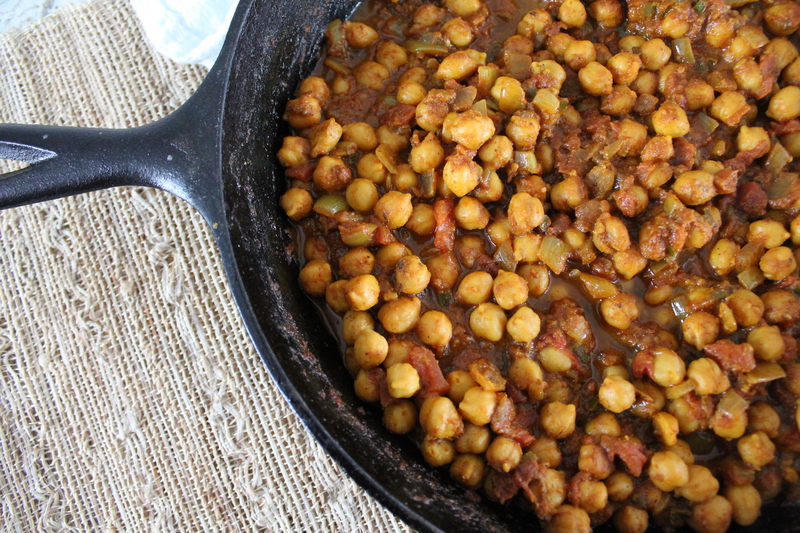 Enter glorious chana masala, a simple dish featuring chickpeas cooked in a rich, spicy tomato sauce full of grated ginger and pressed garlic. This version comes together very quickly, ready from start to finish in under an hour, thanks to the help of canned chickpeas. And it is delicious! 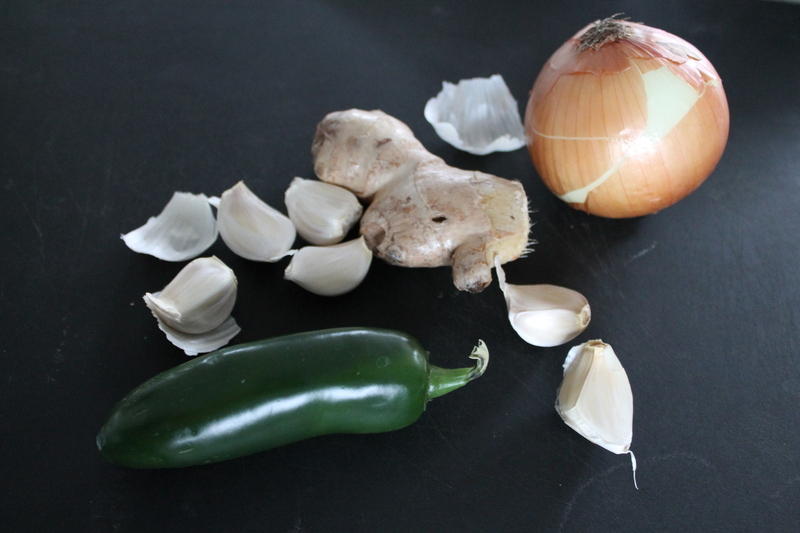 First we start by chopping the ingredients that make up the classic Indian flavor base: onion, chile pepper, garlic, and ginger. Cook these in a large, heavy skillet with some hot oil until the onion is wilted and lightly browned. Add the staple Indian spices: cumin, coriander, turmeric (spoiler: everything you touch will now turn yellow), and paprika. 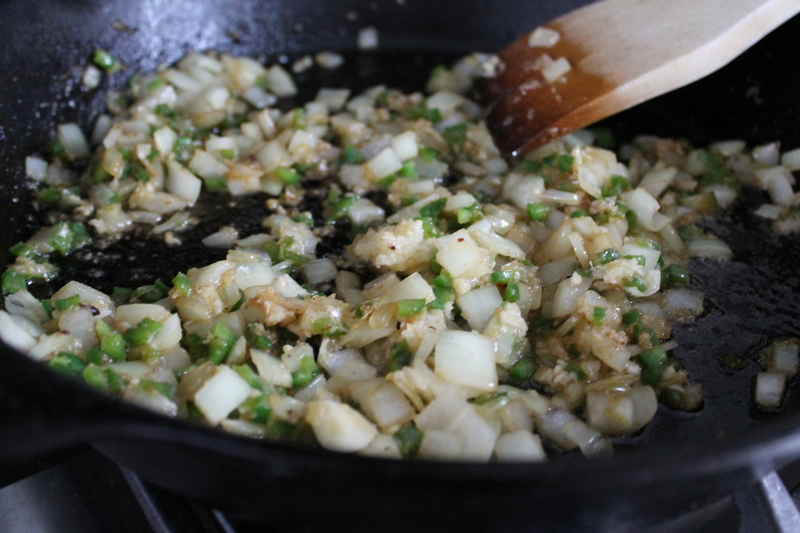 Cook, stirring frequently, until the spices are well blended and the raw edge has cooked off, just about a minute. You should have a sort of brown mush. This is a good thing! Add the tomatoes and about a cup or so of water (I usually just fill the tomato can about halfway and add that to the pan). You can play with the amount of water, depending on whether you like a soupier or thicker texture to your chana masala sauce. I like to add more water than I think I’ll need, because then I can let the dish cook longer and the flavors can continue to develop. In the end, I prefer a slightly thicker sauce, because it’s easier to serve and I get to enjoy all the bold spice on my plate instead of leaving it behind in the pan. Bring the tomato mixture to a boil. Add the chickpeas, garam masala, salt, and lime juice. No, using canned chickpeas will not result in a mushy mess. I find that even after cooking them for 20 minutes or more, they still have a bit of a bite, a chew, an al dente perfection. No mush, and significantly less prep time! 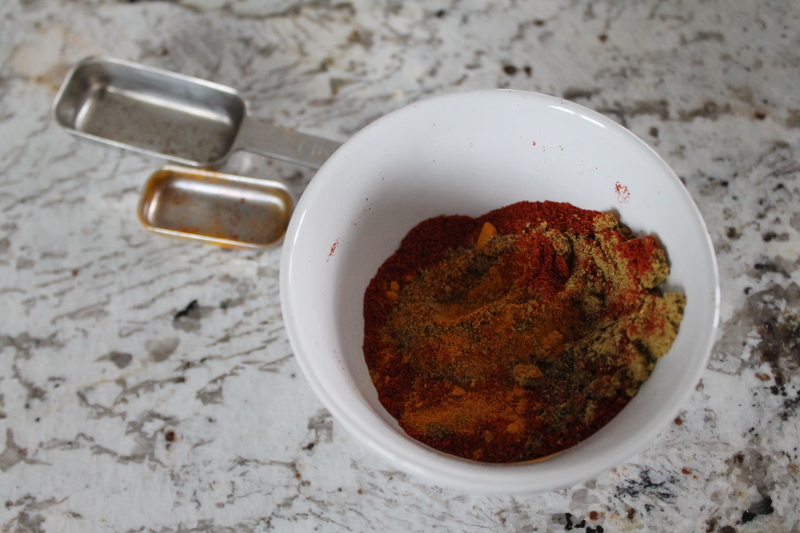 I do not make my own garam masala blend, although I know it would be easy to do so, partly because I feel that I would need an Indian cooking expert (ahem. Again. You know I’m talking to you!) to teach me more about the flavors before I could get it just right. I buy my garam masala in bulk at the Asian market near me. 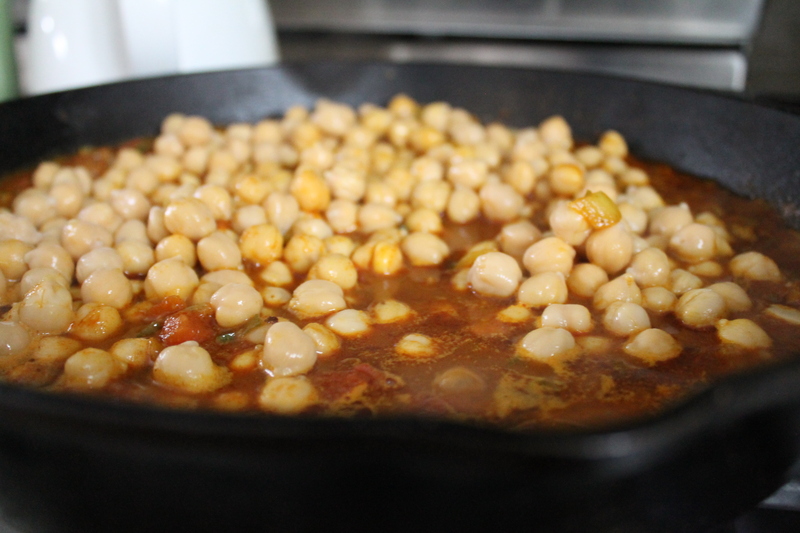 Let the chickpeas simmer at least ten minutes, and more if you like! Longer cooking times produce more complex flavors, but keep in mind that the chickpeas will continue to soften as long as they are on the heat. Feel free to add more water during this stage if you need to do so to achieve your desired sauciness. The sauce should be at least thick enough to coat the back of a spoon. 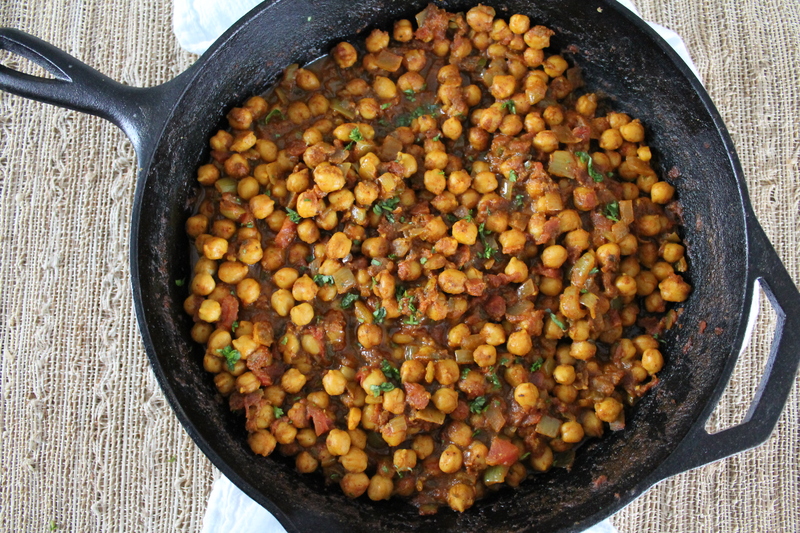 You can sprinkle the top of your chana masala with a little fresh minced cilantro for a pop of fresh color! 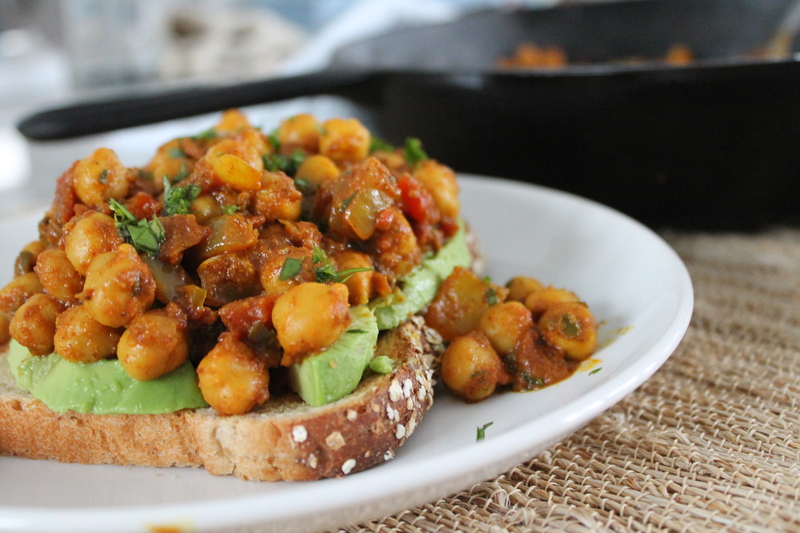 One of my favorite ways to serve my chana is over some kind of warm bread with sliced avocado. Not very traditional…but I do love me an open face sandwich! Heat the oil over medium heat in a large, heavy skillet. Add the onion, jalapeño, garlic, and ginger. Cook, stirring regularly, until the onion is browned and wilted. Add the coriander, cumin, turmeric, and paprika. 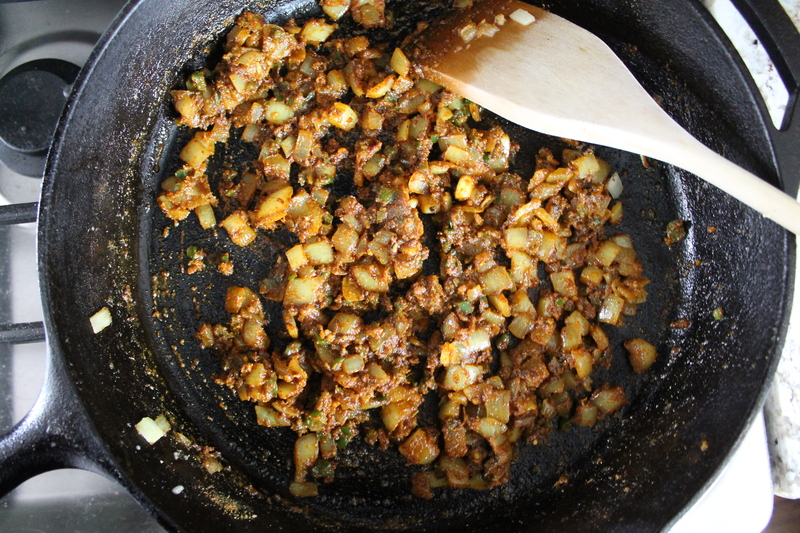 Cook, stirring, for 1 minute, until the spices are warm and fragrant. Add the tomatoes and water. Bring to a boil and cook for 5 minutes. Add the chickpeas, garam masala, salt, and lime juice. Cook another 10–20 minutes, until the sauce reaches the desired consistency. Remove from heat and sprinkle with fresh cilantro, if desired. Serve warm. I loved your Dal Makhani, so can’t wait to try this! Maybe even tonight!